These two figures depict the joy and freedom of childhood as the birds are set free. These two life-sized figures depict the joy and freedom of childhood as the birds are set free. The little boy can be depicted as African American or Caucasian. 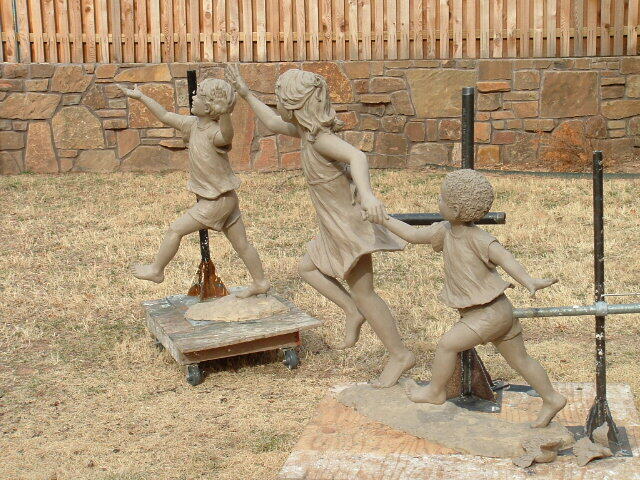 This sculpture would be appropriate for schools, parks, aviaries, and playgrounds.